KIEV, Ukraine -- Ukraine has opened the rocket engine airframes disposal facility in Dnipropetrovsk oblast. 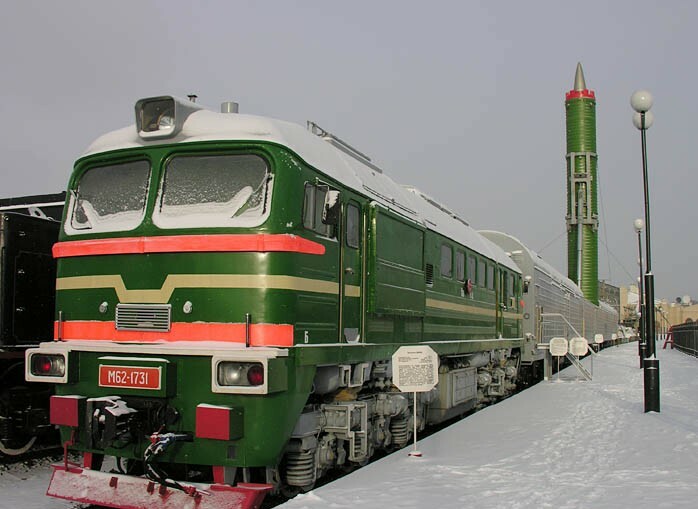 Soviet paranoia, during the cold war, led to the design of weapons of mass destruction such as the RS-22 (SS-24) inter continental ballistic missile, that could be launched from a moving train. Its operation allows for environmentally friendly disposal of the RS-22 (SS-24) missile components and contributes to international security. The launch of the facility has been the result of negotiations between the U.S. President Barack Obama and the President of Ukraine Viktor Yanukovych back in April 2010. Ukraine has entered the final stage of the fulfillment of its international commitments stipulated by to the Strategic Arms Reduction Treaty, said the President of Ukraine Viktor Yanukovych at the opening ceremony. The newly opened facility will house the destruction of RS-22 missiles, developed in 1980s by the Design Bureau Yuzhnoye in Dnipropetrovsk. Created to counter American Peacekeeper (the MX missile), RS-22 featured nuclear warheads and had a range of 10,000 kilometers (6,214 miles), informs plesetzk.ru. Over three years ago, the U.S. has agreed to contribute to the destruction of Ukraine's intercontinental ballistic missiles and its components. Currently, USA's contribution to the project approaches USD $20 million - 90 percent of the total project cost. The funding helped create an industrial research center at the Ukrainian chemical plant - Pavlohradskyi Khimichnyi Zavod. The center allows for environmentally friendly melting of the RS-22 (SS-24) missile airframes, as well as safe waste and solid fuel disposal. In March 2013, the plant launched landmine destruction line. Ukraine has been positioning itself as a peaceful country since the declaration of independence in 1991. It has since been ridding itself of the Soviet military heritage. In 1992, Ukraine joined the Lisbon Protocol, which made it party to the 1991 Strategic Arms Reduction Treaty. In December 1994, Ukraine joined the Treaty on the Non-Proliferation of Nuclear Weapons and proclaimed its non-nuclear status. The last nuclear warhead was shipped from Ukraine to Russia in 1996. In March 2012, Ukraine completely removed the remaining amounts of highly enriched uranium from its territory. At the moment, Ukraine is disposing of 133,000 tons of obsolete ammunition under the 12-year NATO-Partnership Trust Fund project. Launched in 2006, the project has entered its second stage in April 2012. The stage envisions the destruction of conventional munitions, small arms, and three million PFM-1 landmines.